Someway, somehow, denim was billed as "comfortable" decades ago and people bought into it. 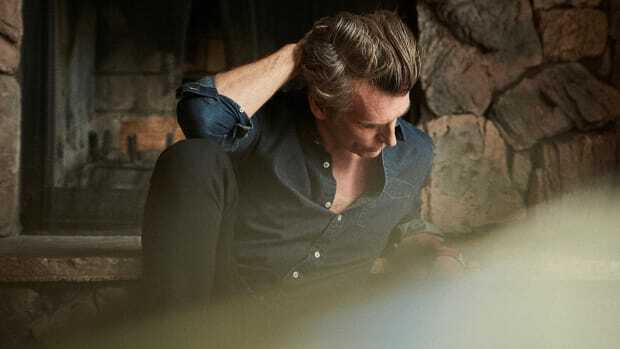 And though we firmly believe it has a place in every man's wardrobe, it's ludicrous to think modern men should opt for stiff, heavy, zero give denim after a long day of work or in your precious few hours of weekend R&R. If you're on the sofa, you're opting for sweatpants or gym shorts. Bottom line. 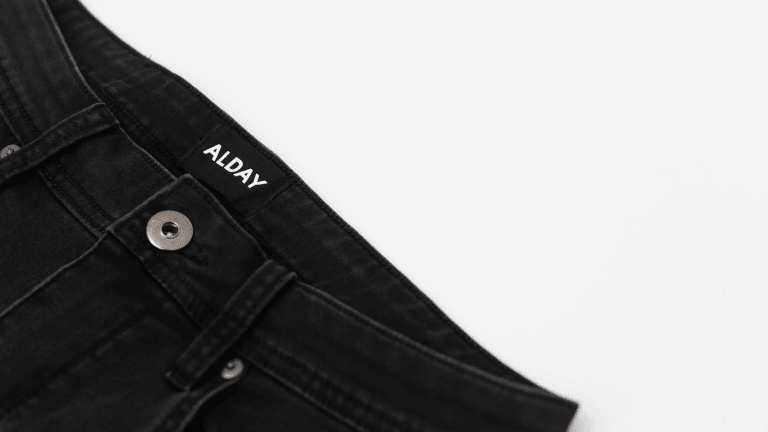 Alday is a new denim company from two industry veterans that were exhausted by "comfortable" jeans being nothing more than regular jeans with a hint of stretch. And though coal miners and construction workers might need the raw durability of Brett Farve-endorsed Wranglers, most guys don't. So, they did something about it and developed their own "Open-Knit Fabric" that's stretchy, strong, super soft and 300% more breathable than regular denim, all with the fit and aesthetic of normal jeans. Before launch, they stopped by AIROWS HQ and showed us the product and we were universally blown away by the feel, especially when compared to other options on the market. It's unlike anything else out there. In terms of sheer comfort, it's closer to Outdoor Voices' legendary Running Man Sweatpant than your average pair of Levi's. The fit wasn't completely dialed but they assured us this was just an early prototype with a focus on fabric. "By the time a single pair reaches a customer, it'll be perfect," co-founder Ryan Mark told us. 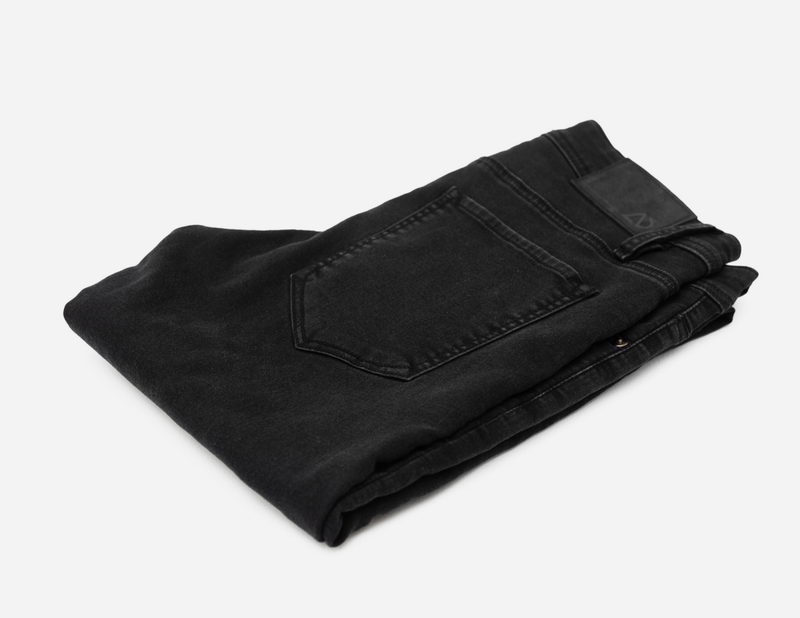 Alday's Kickstarter campaign just went live with the denim available for $59, which is 40% off its expected retail price. 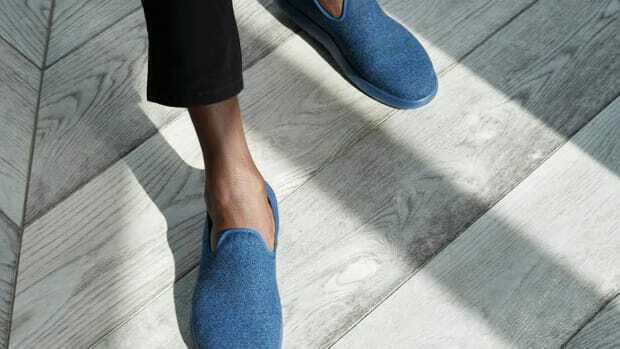 They're launching in both black (our favorite) and grey with more colors (including traditional shades of indigo) expected in 2019. And unlike other crowd-funded campaigns, there's an impossibly low probability for delays or missteps. 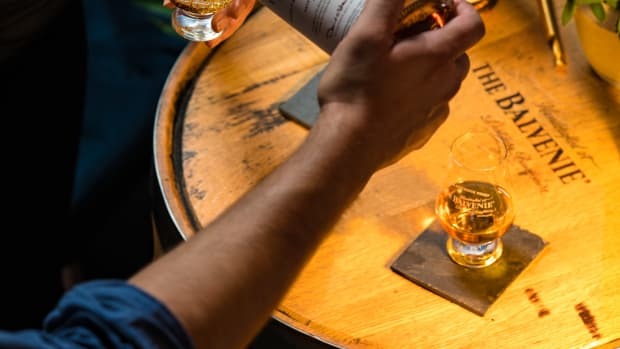 We've been friends with the founders for ages and their level of expertise in shipping, sourcing and production is unmatched. We generally shy away from promoting Kickstarter campaigns for the obvious reasons but there's no surer bet than this team.